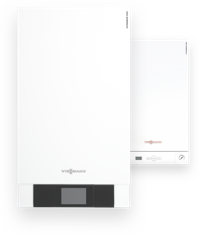 With a number of outstanding product developments and solutions, Viessmann has become the technological pacemaker and trendsetter for the heating industry. Our developments are regarded as milestones of heating technology. As a leading heating technology company that is committed to sustainability, we offer our customers innovative products that are characterised by top quality, energy efficiency and environmental performance as well as longevity. We have manufactured heat pumps and solar systems for decades, in particular clean heating systems for oil, gas and renewable resources. Despite our achievements, we are still not satisfied - we want to create something new and set standards in the future. This the goal of our industry leading research and development. As a family, we are pursuing a long-term and clearly defined corporate strategy and are committed to social responsibility. Our employees think and act in a customer-oriented manner at all times, with a cooperation characterised by trust, reliability and flexibility the cooperation. We pride ourselves on promoting the individual strengths, goals and talents of every member of our team. Take advantage of this opportunity that Viessmann offers. We look forward to working with you.